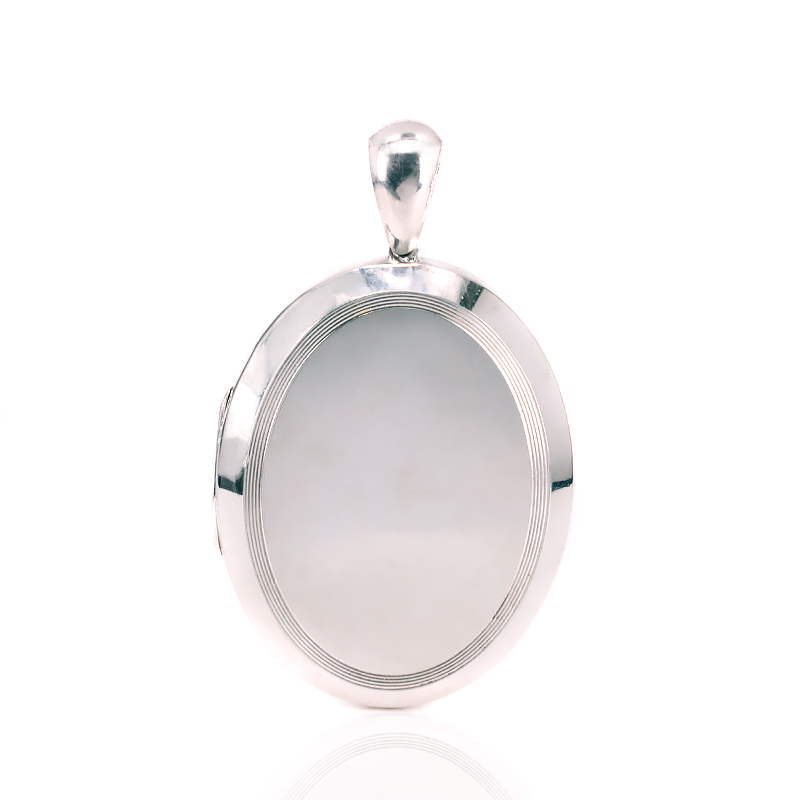 Product code: ES8266 Categories: Antique, Lockets. Antique jewellery is often so unique and individual, and this is especially true for this lovely antique sterling silver antique photo locket highlighted with a gold bird and butterfly. Not only is the design on the front so attractive, but the charming butterfly is made in rose gold and the bird in the much more rare green gold. Green gold is rarely found and is seen in jewellery made in the late 1800’s when this locket was made. Where the rose gold has that wonderful warm tone to it, green gold is a lot lighter in colour and stands out against the sterling silver background. This wonderful front will certainly be such an incredible conversation starter and is destined to always be admired from near or far. Measuring 39.7mm across by 50.5mm or 66mm to the top of the large bail for a chain, inside it will easily accommodate two photos which once place inside will make this so much more personal and special to the wearer. From the lovely large size, to the unique and delightful motif on the front, there is no doubt that this antique locket will always be loved, cherished and admired. This antique photo locket was made in sterling silver and highlighted with a butterfly in rose gold and a bird in the rare green gold. Made in the Victorian era, this antique photo locket will always be such a talking point.